Available for free on iOS and Android. Plan your holidays easily, wherever you may be. Look for the perfect vehicle among 6000 motorhomes and campervans in a few clicks on Yescapa. Send booking requests, manage these directly from your phone, and chat with the owner. 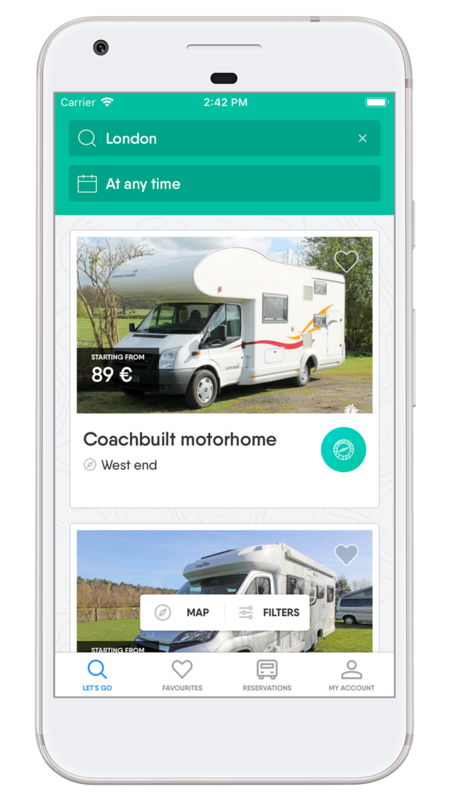 Hiring a motorhome has never been easier! Make your life easier by downloading the Yescapa app. Never miss a booking request again and chat with future renters. Wherever you may be, you will instantly receive notifications on your phone. Your response rate will be increased and you'll be able to manage your bookings more easily. Did you know that motorhomes have a tendency to lean forward? As a general rule, it is rare to find a perfectly flat surface to park on. The Level App will become your best friend when it comes to stabalising your vehicle and improving your holidays.